The Flying Swordfish fuse African and South American rhythms and melodies to create a unique style of fresh, powerful, highly energetic and fun music. A full show co-ordinates an evolving palette of smells, lights, ‘exploding-star’ balloons and audience interaction with The Eye of the Lagoon. 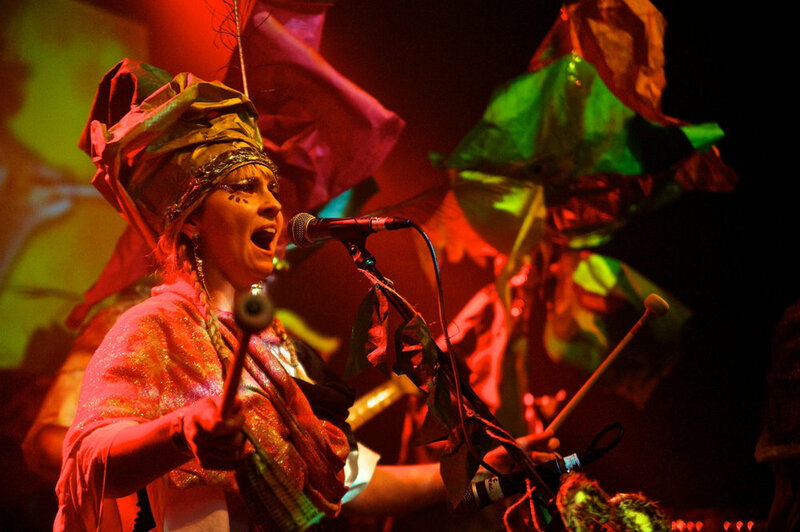 An original and varied set of music will transport you to a faraway, fantastical place. The creation of aromas through burning oils and incense, pulverising fruit and boiling herbs combine with the colourful and detailed music-synced projections to create a hypnotic and immersive spectacle.